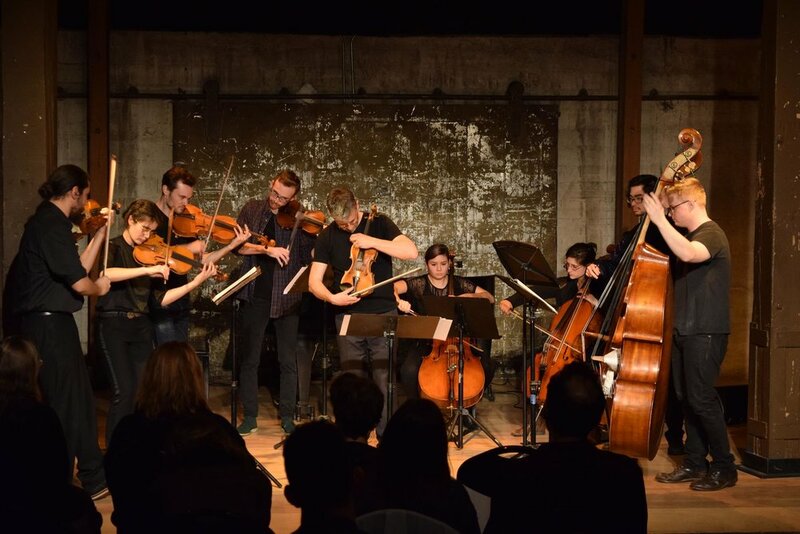 The Matt Allen Ensemble returns to present an exploration into dark places. Joined by the amazing Ted Taforo and David Aguila for an evening of dark grooves. Inheritance is a timely multimedia chamber opera about gun violence in America, based on the true story of Sarah Winchester, heir to the Winchester rifle fortune. An eccentric widow self-imprisoned in her labyrinthine mansion, Winchester was haunted by the spirits of the thousands killed by Winchester weapons. With music by Lei Liang and libretto by Matt Donovan, Inheritance interweaves Winchester’s story with events from contemporary American life, asking complex questions about complicity, atonement, and gun violence in our society. Led by music director Steven Schick and directed by Cara Consilvio, the performance also features Grammy Award–winning soprano Susan Narucki, with sopranos Kirsten Ashley Wiest and Hillary Jean Young and baritone Josue Ceron. A bi-coastal meeting of musicians. David Aguila and Alexandria Smith will be presenting works for trumpet at Dartmouth College in Faulkner Recital Hall. Performing works by Aguila, Lim, and Terrazas. This recital is free and open to the public. David Aguila is a Los Angeles based performer and composer from Florida. His work uses acoustic and electronic instruments, spatialization, and perception of sound, time, and memory which are conceptually abstracted to create sonic landscapes and performance installations. As a performer, Aguila has performed as a trumpeter with orchestras, chamber ensembles, wind bands, improvisation ensembles, and contemporary ensembles, traveling across the USA and Europe. Aguila also performs as a sound projectionist, processing instruments, voice, and performing contemporary music. Aguila was a co-founder and co-artistic director of aLma.MaddR, an interdisciplinary collective dedicated to the creation and presentation of interactive and immersive new works that hope to provide meaningful and transformative experiences for audience members. In late 2017 Aguila decided to leave the collective to pursue personal musical and artistic projects his most recent work can be heard on Ted Taforo's album, You Are, and for the Los Angeles based band Snow Nerds. Aguila received his Bachelor’s degree (2009-13) in trumpet performance at the Eastman School of Music. He studied under James Thompson. While getting his MFA at CalArts (2013-15), Aguila studied trumpet with Ed Carroll and studied music composition with Vinny Golia and Sara Roberts with a focus on spatial and electroacoustic music and interdisciplinary performance installation. Praised by the New York Times for her “appealingly melancholic sound” and “entertaining array of distortion effects,”Alexandria Smith is a trumpeter, improviser, and electronic musician/multi-media artist pursuing her DMA at the University of California San Diego. The objective of her practice is to use a multidisciplinary approach to explore the parallels of the theoretical concepts behind interactive software and hardware, immersive environments, and music that form a cross-wiring of sensory perceptions and involuntary synthesis. As a performer/composer, she is to researching more ways in which she can eliminate the roles of the “composer” and the “performer,” and adopt a democratic system of notation and musical ideas that can be changed in the moment and embody what the performer feels, experiences, and senses in space. Her recent work and collaborations are currently focusing on pushing the timbral limits of the trumpet, extended vocal techniques, and creating interactive performance environments. Her recent performanc engagements include performing in John Zorn's improv night, the New York Premiete of Matthias Pintscher's Occultation, performing as a soloist at the Martha Graham Dance Company 90th Anniversary Concert, and premiering Anothony Coleman's solo piece with the Either/Or Ensemble. Manatee Migration is an electro-acoustic freely improvised duo; comprised of Breana Gilcher on Oboe and David Aguila on Electronics, stemming from the foundations of classical/contemporary music creating unique textural dialogs engaging audiences in the transformation of sounds from Oboe to live processing. The listener is transported from the physical world to an enlightened state, as synthesizer drones and sweeps meshed with the multi-timbral oboe contours wash through the listener on a molecular level. 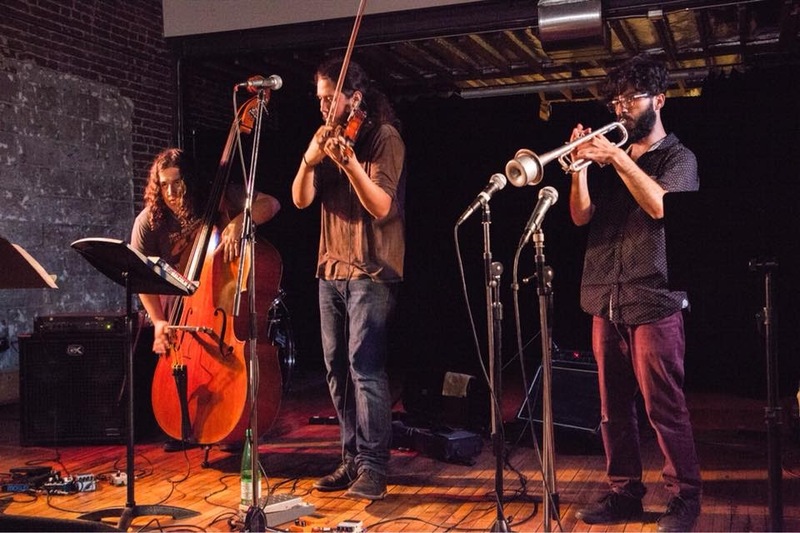 Crawl Dweebs is a free improvisation trio that started at CalArts that features Bassist, Sean Riddle, David Aguila on Trumpet/Electronics, and Kris Rahamad on Violin/Viola. Through their music they explore themes of challenging and portraying the current political climate that we are experiencing around the world. Major influences for the group are Vinny Golia, Martin Plot, Ulrich Krieger, Henry Threadgill, Dmitri Shostakovich, Hannah Arendt, Eric Dolphy, and Charlie Haden. Breana Gilcher and David Aguila are Manatee Migrations. During the 2018 CalArts Digital Arts Expo they will present an electro-acoustic sound bath experience. We are an electro-acoustic freely improvised duo, stemming from the foundations of classical/contemporary music creating unique textural dialogs engaging audiences in the transformation of sounds from Oboe to live processing. This electro-acoustic sound bath aims to navigate the edges between acoustic and electronic timbres, exploring raw dynamic soundscape experiences, symbiotically synthesized by the oboist, serving as the input, the live processing, which serves as the output. The listener, with the contribution of attention and presence of their body, becomes a third collaborator by receiving and stepping into these soundscapes. Each receiver takes part in the journey through the sound bath filled with colorful waves of subtle timeless noise and activating harmonic bliss. Los Angeles based electro-acoustic duo; Laptop+Trumpet, is proud to release their first EP on Cosmic Primitive Records. 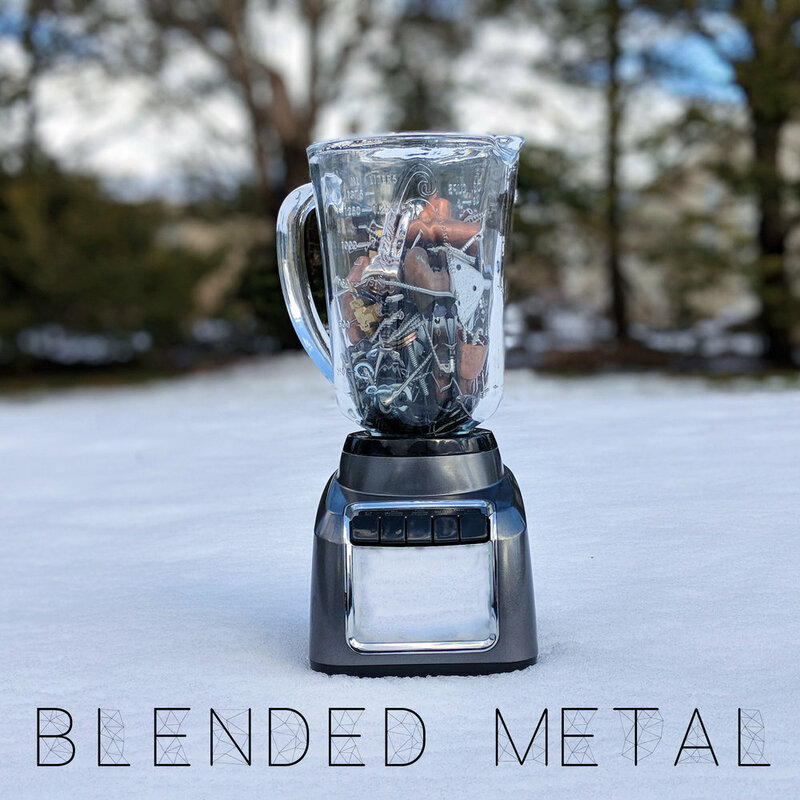 An amalgamation from a previously recorded concert, sampling, and post production work, culminated in Blended Metal. 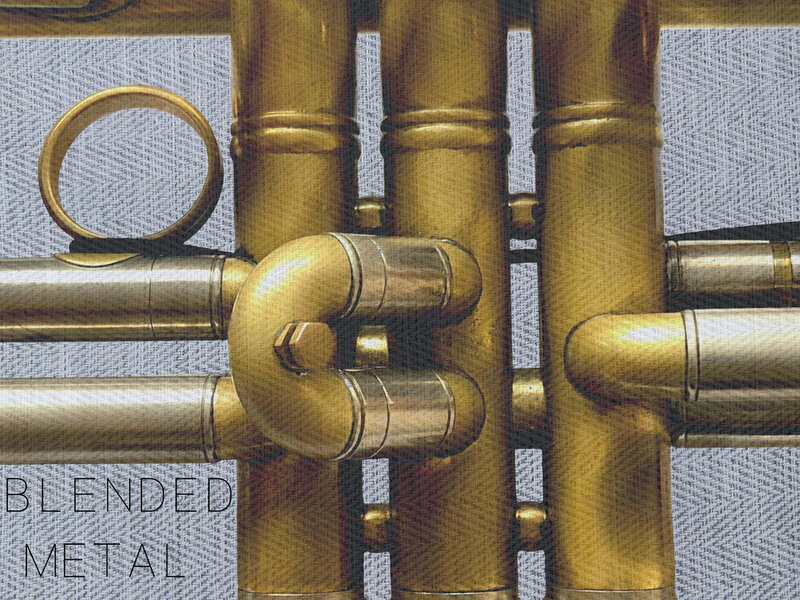 Extracted portions of the original improvisation are preserved in its original form, as samples are layered, twisted and manipulated becoming indistinguishable. Juxtaposing textures and evolving timbres intertwine, as droning and pulsating synthesizers encapsulate the extreme registers as the listener enters the world of Laptop+Trumpet. Comprised of David Aguila on Laptop and Ethan Marks on Trumpet, they first met while attending Chosen Vale Trumpet Seminar in Enfield New Hampshire. During the seminar, Marks commissioned a piece from Aguila, that would later become the foundation in the formation of Laptop+Trumpet. The two began to improvise together, building electro-acoustic landscapes and extended trumpet techniques, forming a unique improvisatory language which feeds off one another's output. Laptop+Trumpet has performed in the Los Angeles area, including at ArtShare LA and CalArts R.O.D Concert Hall. An amalgamation from a previously recorded concert, sampling, and post production work, culminated inBlended Metal. Extracted portions of the original improvisation are preserved in its original form, as samples are layered, twisted and manipulated becoming indistinguishable. Juxtaposing textures and evolving timbres intertwine, as droning and pulsating synthesizers encapsulate the extreme registers as the listener enters the world of Laptop+Trumpet. "The Beach Noise" is the first installment of our new concert series, Carillon Presents. The program features solo trumpet compositions by California-based composers, performed by California-based trumpeters in the California-based heart of downtown Los Angeles. All of the pieces explore the trumpet's unique emotional and sonic possibilities, including but not limited to extreme dynamic shifts, incorporating the player's voice in a melodic setting, the contrast between noisy disintegration and heartbreaking purity, and the melting of musical notation into improvisation. The composers comprise varied generations and include David Aguila, Mark Applebaum, Robert Erikson, Saad Haddad, Robert Henderson, Anne LeBaron, and David Rosenboom. The performers are some of the most exciting young trumpeters, both emerging and established, in the California new music scene: Nicolás Bejarano, Noah Dugan, Cameron Kalemkarian, Ethan Marks, Daniel Rosenboom, Alexandria Smith and Evan Wendell. Kate Amrine's set will include the debut of "Thoughts & Prayers," composed by Kevin Joest for trumpet and tape. Of this piece, Kevin Joest says, "Thoughts & Prayers was composed in late 2017 for Kate Amrine. The impetus behind the work was a topical subject that would 'piss people off'; the lip service payed to the victims of natural and human disasters and attacks throughout that year seemed an appropriate subject to tackle. I tried to integrate as many different perspectives as I could whilst maintaining a very clear ideological standpoint. I hope it pisses you off." Dexter Dine is a composer who works primarily with guitar, voice, and Max/MSP. He’ll be performing a new set of original songs and improvised electronics. Crawl Dweebz returns to their birth place in Pasadena, this time performing at the wonderful Battery Books and Music. We’ll be performing some improvisations with possibly some original music hidden throughout. After us will be Scot Ray and his guitar trio. The concert is open to the public and donations will be accepted at Rich’s (the owners) desk. Come out and support creative music in LA! Sara Cubarsi will be premiering a new piece for electric string quartet and laptop at CalArts for the DMA showcase. Please join us for an evening of music from all doctoral candidates. Hi, friends! Time for another house show to welcome Autumn! We would like to make space for new music this time around --- music written Summer 2017, groups formed recently, or improv works --- with absolutely no genre preference. All in the spirit of change and fresh starts. PM me if you'd like to play, and feel free to recommend people or send them my way. This is a public event, but if you do invite friends, please remind them to be respectful, and also that this is a GLUTEN FREE HOUSE SO ABSOLUTELY NO BEER. I'm moving to Holland to study at the Royal Conervatoire to prepare and perform Stockhausen's Opera "Licht" at the 2019 Holland Festival. I'll be gone for two years and will miss you all. This will be my last concert in Los Angeles. I am so lucky to be sharing this concert with so many of my friends. A live stream will be available on the day of the concert. We invite you to join us in working through four pieces, for groups of performers of any skill level, that we've prepared. 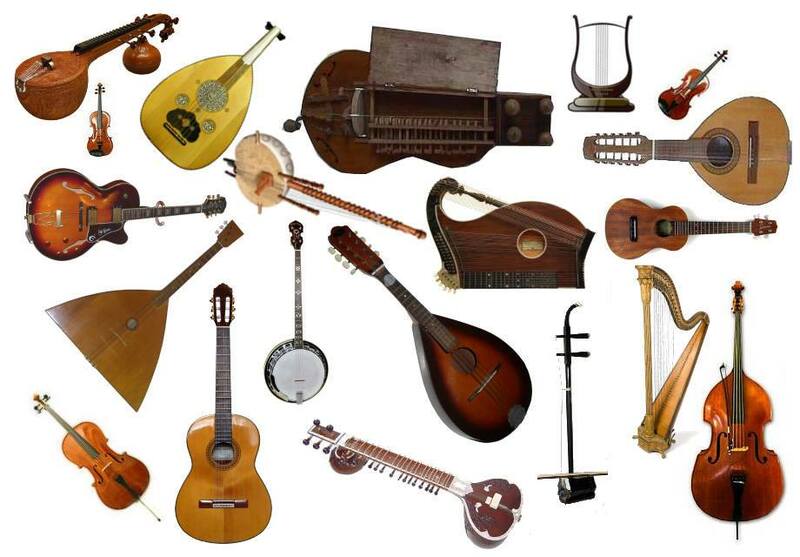 No instruments are required, but a volunteer mindset is encouraged. EnsembleVómma is proud and excited to announce that we are performing at ArtShare LA's Open House next Thursday, June 15th! Come join us as well as many other LA Based Artists for an evening filled with expression, chats, laughs, and art. We will be sprinkled in somewhere in the program, but be sure to stick around for all of the artists that will be featured in this amazing evening. As for our part of the program, we will be performing Tocatta (2016) and Exchange (2014) by LA based composer David Aguila and Summa (1977) by Estonian composer extraordinaire Arvo Pärt. David Aguila's work has been described by Fest magazine in Edinburgh Scotland as, "Gorgeous" and "Ghostly" - Sean Bell, Edinburgh Fringe Fest Mag. 2014. We are really looking forward to this event and evening of Art & Music. Please come out and join us for the festivities. If you plan to attend, note that although the event is free, you are required to RSVP at the ArtShare LA website provided below. Nah und Fern was born in the WDR (West German Radio) in 1993/1994 as Mauricio Kagel’s first hörspiel, or “radio drama,” without words. The piece was constructed from three pieces that had been composed within a span of the three years prior: Morceau de Concours, Fanfanfaren, and Melodien für Carillon. Out of these works and with the addition of field recordings of sounds from the city of Utecht (boats, cars, and even the steps of the carillon operator) Kagel created this aural play in the tradition of the hörspiel, which takes the listener through an exceptional and rather surrealjourney through a city landscape. The images that often come to mind are not unlike the scenes from his 1969 film Ludwig Van. The city sounds, so recognizable to any listener, interrupted by the anachronistic carillon bells, and being commented on by studio-like trumpet playing yields a peculiar atmosphere reminiscent of the bygone era of Borges. Nah und Fern is the biggest contribution to the trumpet repertoire that the Carillon Quartet has thus far brought into fruition. The idea is to create a live version of Kagel’s hörspiel in order to introduce it to new audiences. It seems obvious that in the 21st century, radio no longer has the power it once enjoyed in the post-war era. Bringing Nah und Fern into a live context is a way to preserve it and reintroduce it to concertgoers. We present an imaginative, unique staging that gives insight into the many dimensions of Kagel’s fascinating work. With brilliant playback reconstruction by David Aguila, the trumpets of the Carillon Quartet, aLma.MaddR and director Brian Carbine, this piece is now being heard live for the first time since its première in 1994 in the city of Utecht.